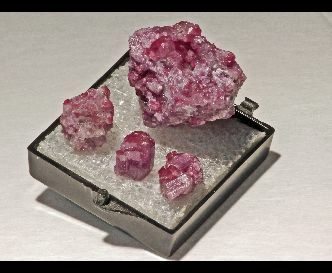 Rich deep mauve Vesuvianites from an old collection, out of the Jeffrey Mine, Asbestos Quebec. These are getting quite hard to find. Price is for the group of 4 specimens.